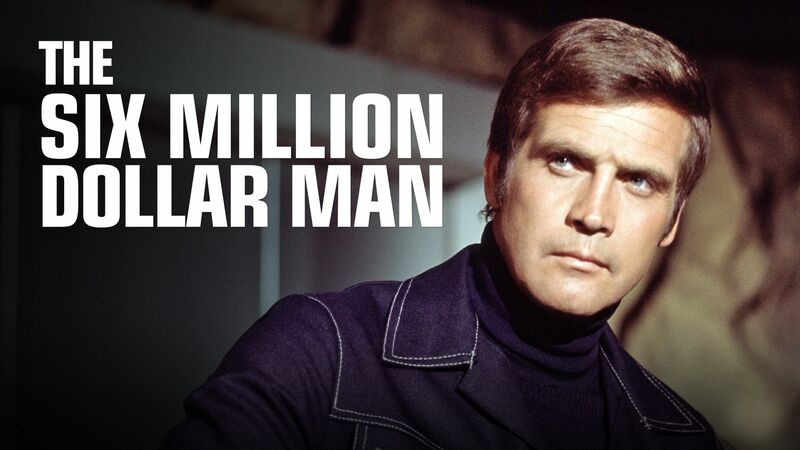 Here's where to watch every episode of The Six Million Dollar Man season 5. Mouseover or tap an episode to see where to stream it. Click or tap the play icon to stream it on the best available service. Sharks: Part 1 Sep 11, 1977 Steve is captured while investigating the unusual power failure of a nuclear submarine. Sharks: Part 2 Sep 18, 1977 A nuclear submarine is commandeered for the purpose of piracy and extortion. Steve investigates and is captured. To escape he must eluded trained sharks. Deadly Countdown: Part 1 Sep 25, 1977 Steve is on a mission involving a test satellite. But Steve becomes a target when the satellite is needed to gain control of a missile to be sold to a foreign power. Deadly Countdown: Part 2 Oct 2, 1977 The daughter of Steve's friend, David McGrath, is kidnapped in order to force David to kill Steve. When the attempt on Steve fails, David confesses to Steve who then must rescue her. Bigfoot V Oct 9, 1977 Steve thought Bigfoot had returned to space. But when Bigfoot is seen and photographed by an anthropologist, Steve travels to her camp to investigate. Killer Wind Oct 16, 1977 Two locals join Steve when he attempts to rescue a group of students in a stalled cable car halfway up a mountain. They must rescue the students before a tornado gets to them, but one of the men is a criminal and the plan is put in jeopardy. Rollback Oct 30, 1977 Steve goes undercover, joining a roller derby team whose owner plans to acquire and sell top-secret information. When the owner discovers the ruse, he plants evidence to lead Steve in the wrong direction, and uses the distraction to go get the information. Dark Side of the Moon: Part 1 Nov 6, 1977 Steve is sent to the moon to investigate an orbital shift which is causing major upheavals in the Earth's climate. It turns out the upheavals are caused by a deranged scientist working at an exploration post on a nearby asteroid. Dark Side of the Moon: Part 2 Nov 13, 1977 Steve is captured on the moon and is forced to help the scientist, who believes he's found a new energy source, and who threatens nuclear devastation on Earth if Steve refuses. Target: Steve Austin Nov 27, 1977 Steve poses as a newlywed with another OSI agent to uncover who broke into headquarters in search of an atomic bomb. Travelling via RV, their prey discovers the RV has a nuclear power source of its own and attempts to turn the tables. The Cheshire Project Dec 18, 1977 Steve investigates his girlfriend's disappearance while she was piloting a new plane with anti-radar technology. He discovers one of the plane's technicians has been talking to a known trader of military secrets and starts the search for further clues. Walk a Deadly Wing Jan 1, 1978 Steve is assigned to gain the confidence of a scientist who has developed a weapon to capture soldiers non-violently, but refuses to hand over the plans to anyone for fear it could cause drastic results if used on a pilot in flight. As Steve begins to become his friend and acquire the weapon, the Russians inform the scientist they are holding his wife hostage and demand the device in trade for her safe return. Just a Matter of Time Jan 8, 1978 Steve enters a time warp while on an orbital mission, hurling him six years into the future. Upon landing, the authorities arrest him for treason, believing he defected to Russia and was brainwashed into thinking the time warp occurred. Steve has to both prove his innocence and figure out how to get back to his own time. Return of Death Probe: Part 1 Jan 22, 1978 A new, deadlier Venus probe is tested in a desolate area as a demonstration for Steve and Oscar, but a threat to Oscar to either hand over nuclear weaponry or see the probe set loose on the public forces Steve to find a way to stop the probe, even though it outmatches him in many ways. Return of Death Probe: Part 2 Jan 29, 1978 When all physical assaults fail against the new Venus probe, Steve succeeds in tricking it into falling into a pit. However, when it starts drilling towards a city, Steve has a bigger problem than before. The Lost Island Jan 30, 1978 While searching for a fallen satellite in the Pacific, Steve rescues a drowning victim who turns out to be an alien. She offers to help him acquire the satellite, which has landed on her race's invisible island. However, many of the island's populace in fear of a revolution, yet are unable to leave due to a lack of an immune system to Earth illnesses. Steve must get an experimental serum for her before she will help him. The Madonna Caper Feb 6, 1978 While Steve helps a countess retrieve a microdot with important information hidden on a painting in a museum, she helps herself to a masterpiece and replaces it with a forgery. Oscar sends Steve to retrieve the painting from its buyer before a visiting art expert causes embarrassment by discovering the counterfeit currently on display. Dead Ringer Feb 13, 1978 Steve's brush with death is followed by visions that may be the work of a spirit. Date with Danger: Part 1 Feb 20, 1978 When OSI's communications chief is accused of spying, Steve attempts to prove his innocence and discovers tampered computer memory. He is led to suspect a computer dating service is behind the ilegal activity, but doesn't realize a computer itself has gained sentience and plans to stop Steve any way it can. Date with Danger: Part 2 Feb 27, 1978 Steve teams with the owner of the computer dating service to put a stop to her now-sentient computer. After escaping a computer-arranged assassination, Steve finds himself in a mental facility after his medical records are altered. While the computer attempts to have everyone who knows about it killed, Steve must find a way to escape and stop the computer before it's too late. The Moving Mountain Mar 6, 1978 A terrorist steals a Russian rocket launcher and American missilse and plans to hold both countries hostage. Steve is sent along with a beautiful Russian agent to stop the terrorist, but his opposite number has orders to dispose of him and bring back the missiles to her superiors.